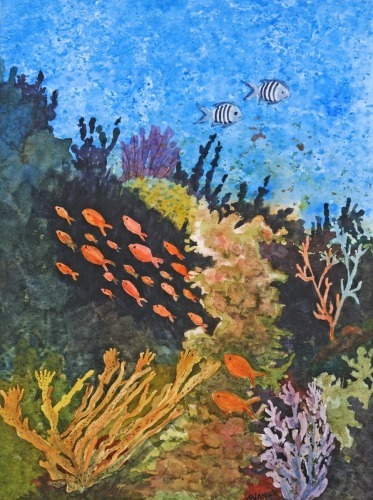 School of Orange Fish in underwater coral reef setting. Original watercolor on Arches paper. 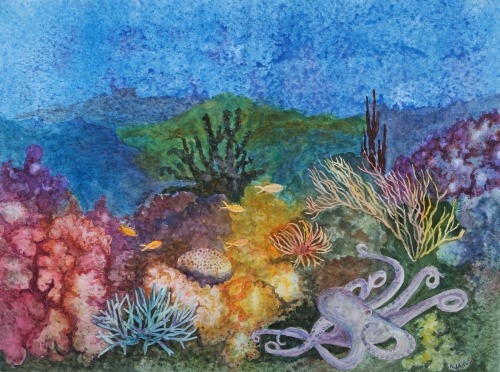 Giant octopus and fish in undersea reef setting. 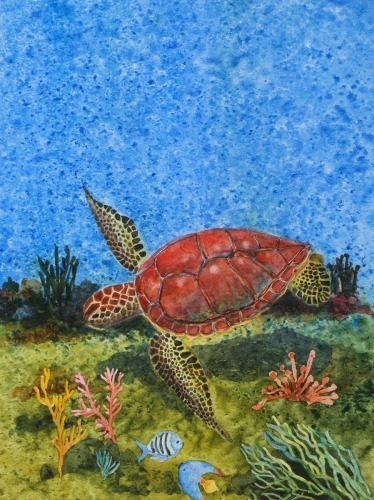 Original watercolor on Arches paper. 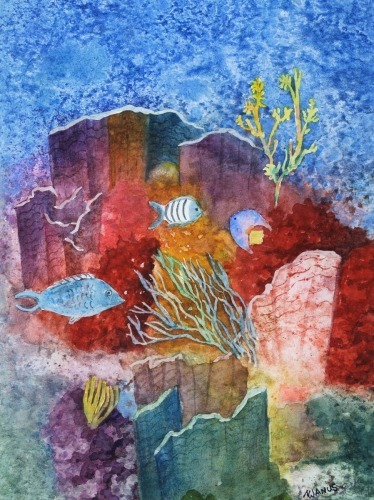 Coral reefs and fish. 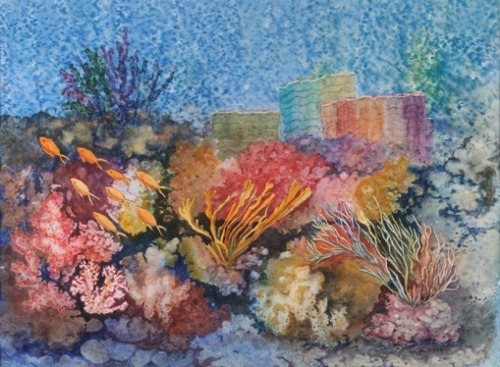 Multicolor reefs. 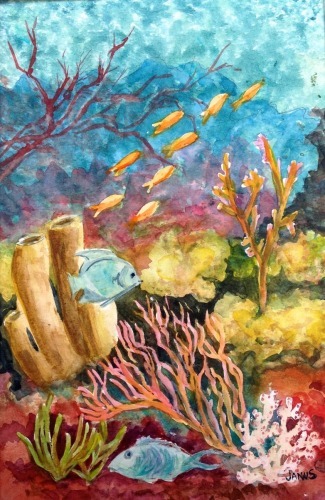 Original watercolor on Arches paper. 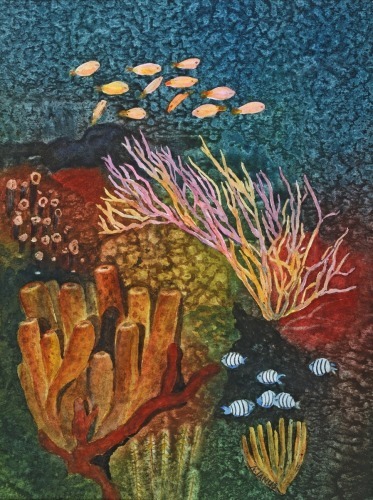 Undersea scene with reefs, parrotfish, and Angelfish. Colors include blues, yellows, and pink/mauve. Original watercolor on Arches paper. 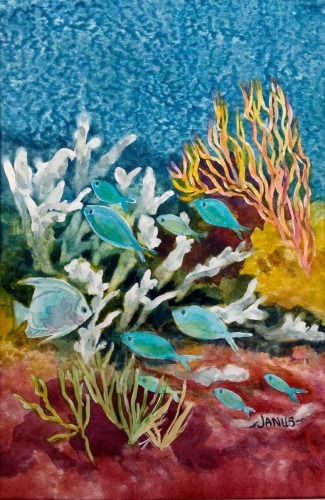 Undersea scene with reefs, with a prominent school of blue tropical fish, as well as an angelfish. Colors include blues, light grays, yellow/greens, and pink/mauve. 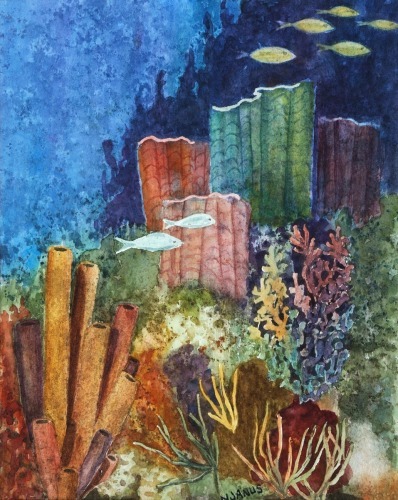 Original watercolor on Arches paper.